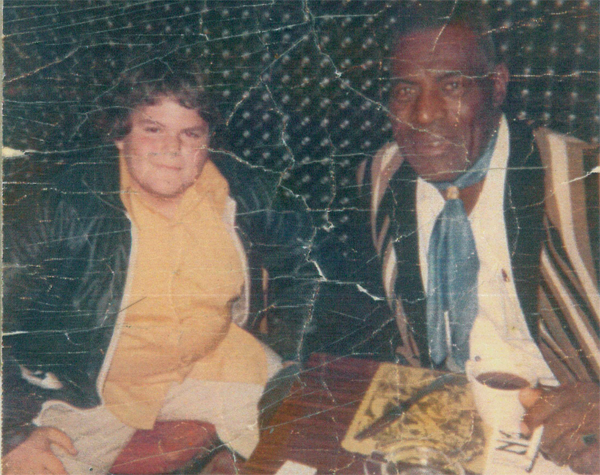 At 11 years old, and when most kids that age are playing sports, Colin was meeting and being mentored by one of his musical heroes, the great bluesman Howlin’ Wolf, which helped set the youngster on a course to pursue the sounds of his dreams. Colin performed as part of the house band for a T.Bone Burnett-produced Gospel Music concert at The White House on April 14, 2015. Featured on Rhiannon Giddens' Tomorrow Is My Turn. Blackie and the Rodeo Kings release SOUTH. The album's largely acoustic yet reliably punchy arrangements showcase the three songwriters' multiple strengths, while the musicians' organically energetic performances maintain the vibrant chemistry that's kept Blackie a consistently vital and distinctive musical force. Colin joins Bob Dylan's band for eleven tour dates. Colin becomes involved with the ABC television show "Nashville". He has performed electric, acoustic and slide guitar on the majority of the show's recorded musical numbers and appears regularly on screen in many of the live performance scenes. Colin produces Blackie and the Rodeo Kings 'Kings and Queens, an impressive collaboration that pairs Blackie and the Rodeo Kings with some of their favourite female singers and friends - and some of the biggest names in roots, blues and jazz. Featuring duets with the amazing voices of…Lucinda Williams, Sara Watkins, Rosanne Cash, Amy Helm, Cassandra Wilson, Patti Scialfa, Pam Tillis, Serena Ryder, Patti Scialfa, Pam Tillis, Emmylou Harris, Mary Margaret O`Hara, and Sam Phillips. The Deluxe edition features two new duets with Patty Loveless and more..! The album 'From the Water' is nominated for a JUNO award. Colin starts the year by recording a few tracks with Robert Plant, Alison Krauss and T Bone Burnett for the follow-up album to the Grammy-winning, “Raising Sand”. He plays on the 2009 Delbert McClinton Blues Cruise and comes back to tour and support the release of “From The Water”. He interviews the great James Burton and plays with Burton, Albert Lee, Luke Doucet and Phil Hurley at the Folk Alliance in Memphis. He brings his close friend Whitey Johnson on tour with him in western Canada. Twilight Hotel’s album is nominated for a Juno. Colin produces and co-writes “Sugarbird” with longtime friend and collaborator Paul Reddick. Willie P. Bennett passes on to the next dimension. Colin goes on the road to record and produce a live solo album for Bruce Cockburn. 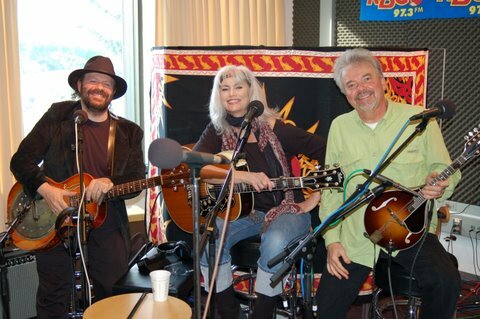 Emmylou Harris hires Colin to be lead guitarist for her new band, “The Red Dirt Boys”. Colin travels the world with the legendary and angelic Emmy. Colin records his 11th solo album, “From The Water” and produces “Mal Emmanchee” for Francophone artist, Cindy Doire. In December, True North releases "The Columbia Years", a 4-CD Box Set including "When The Spirit Comes", "South At Eight North At Nine", "Through The Storm Through The Night" and "raised by wolves"
Colin continues to tour and support “Easin’ Back to Tennessee”- which gets a Juno nomination for best blues album (along with 2 other of his productions- Roxanne Potvin & Colin James) and Blackie also is nominated for “Let’s Frolic” in the Roots/Traditonal (Group) category. Blackie does a short tour of Europe including the “Rockpalast” television show in Germany. Sam Butler & The Blind Boys Of Alabama record, “Between The Darkness & The Light Of Day”- which Colin co-wrote with Jimmy Weider. Blackie’s “Let’s Frolic Again” is released and Colin produces an album for Winnipeg folk duo, “Twilight Hotel”. Richard Bell passes away. The skies go dark for awhile. January release of “Easin’ Back To Tennessee”. Jan/Feb tour across Canada with Colin James. Colin L opens for and plays with Colin J. Produces albums for Jimmy Rankin, Sass Jordan, Quartette and 2 for Colin James-“Little Big Band 3” & “Little Big Band Christmas”. Reunites with Stephen Fearing & Tom Wilson as Blackie and the Rodeo Kings release “Let’s Frolic”. Colin makes his first trip to Europe & The UK since 1994! Blackie hosts a 30-year anniversary concert of The Band’s Last Waltz entitled, “We Shall Be Released” Colin is the show’s musical director and it is recorded and broadcast nationally on CBC Radio. Keb’ Mo’ records “Life Is Beautiful” which he co-wrote with Colin. He plays and records a couple of tracks and a great live gig with Shelby Lynne. Busiest year yet for CL as producer. Works on recordings for Annie Tate, 21-year old blues sensation Slick Ballinger, Jenna Andrews and Jessi Alexander, Janiva Magness and Roxanne Potvin, as well as new albums for long-time friends Colin James (Limelight) and Tom Wilson (Dog Years). “Southern Jumbo” is released to unanimously great reviews (they’re getting it!) and Colin tours concerts and festivals in both Canada & the US. Colin collaborates with friend and “O Brother” associate Chris Thomas King to write, record and perform “What Would Jesus Do?”- a song to benefit Hurricane Katrina victims....and at long last, Colin fufills his dream of a recording a country blues album-in his own fashion, of course. “Easin’ Back To Tennessee” is slated for a January 2006 release to coincide with his hosting of the 2006 Maple Blues Awards. CL co-writes, records and produces “Villanelle” for Paul Reddick, and continues to tour with Blackie & The Rodeo Kings, whose song, “Had Enough Of You Today” becomes a major hit on rock radio in Canada. Blackie performs on the 2004 Juno Awards with Kathleen Edwards as a special guest. Blackie subsequently tours Canada opening for their new best friend, the legendary Merle Haggard. Colin produces (with the artist) “Bury Him At The Crossroads” for California blues great Janiva Magness. Blackie tours the U.S. through the fall, stopping back in Canada to perform on the internationally televised CCMA awards. Colin records his 9th solo album, and first for the True North label, “Southern Jumbo”. This recording features Wayne Jackson & Andrew Love, the legendary Memphis Horns on six tracks. It also features guest appearances by Jane Siberry, Buddy Miller, Jessi Alexander and Kathleen Edwards. Late in the year, he plays on the upcoming Cassandra Wilson album, produced by T. Bone Burnett. Colin begins this year by producing a third album by Blackie & The Rodeo Kings entitled, “BARK”. He narrates the film “The Last Round” about his friend & hero, George Chuvalo’s fight with Muhammed Ali. Big Mouth is released in the US, and Sue Foley’s “Where The Action Is” sweeps the MAPL Blues Awards and earns CL another Producer of The Year award. BARK is released in the summer and Colin, Tom & Stephen hit the road! Colin begins producing a debut album for reclusive Texas Bluesman, Whitey Johnson, and plays on albums by Emmylou Harris, Leeann Womack and Jessi Alexander. He is hired to be executive producer on a tribute album to Gordon Lightfoot and a blues tribute to Johnny Cash. CL starts the year by producing “Where The Action Is” for Sue Foley and several more tribute album tracks for Lucinda Williams, including “The Farm” for a tribute to the late German singer-songwriter, Rainer. Is involved with no fewer than 5 Grammy nominations for his work on the Hank Williams tribute album, “Timeless”, the Mississippi John Hurt tribute album, and “Down From The Mountain”. The Linden-produced, Lucinda Williams track, “Cold, Cold Heart” is nominated for Female Country Vocal Performance. “O Brother Where Art Thou” wins big! Linden tours in support of Big Mouth and on some dates with the Down From The Mountain Tour, and in the summer, he makes his acting debut as “Father Scott” in the Coen Brothers’ “Intolerable Cruelty”, marrying Catharine Zeta-Jones to Billy Bob Thornton, while playing Simon & Garfunkel’s “April Come She Will”. “Big Mouth” wins a Juno Award for Best Blues Album. Linden wins Producer Of The Year at the MAPL Blues Awards for Paul Reddick & The Sidemen’s “Rattlebag”, which wins a total of 9 Awards. Linden ends the year by producing (with the artist) Bruce Cockburn’s, “You’ve Never Seen Everything” featuring guest appearances by Sarah Harmer, Emmylou Harris & Jackson Browne. CL does a number of shows supporting and playing with Keb' Mo', including "House of Blues" in New Orleans, and La Zona Rosa in Austin, Texas. Records his 8th solo album, "Big Mouth" with help from special guests, Keb'Mo', Lucinda Williams, Bruce Cockburn, Lee Roy Parnell and Jonell Mosser. Sue Foley's album, "Love Comin' Down" wins the Juno award for best blues album, and wins six Maple Blues Awards. Colin wins Producer of the Year for the fourth consecutive year. Produces new album for Chicago-based singer/songwriter, Susan Werner. Produces two tracks for Lucinda Williams for two more tribute albums- one to Hank Williams and one to Townes Van Zandt. Co-produces new album for Stephen Fearing and two new tracks for a Bruce Cockburn Greatest Hits. "Down From The Mountain", the film of the May 2000 Ryman Auditorium concert of "O Brother Where Art Thou" artists is released, and to celebrate, the cast play a concert at Carnegie Hall in New York City. The film is subsequently released on VHS and DVD, and the soundtrack, featuring Chris Thomas King and Colin performing, "John Law Burned Down The Liquor Sto'" is released on Lost Highway/Mercury Records. Keb' Mo' performs his and Colin's song, "God Trying To Get Your Attention" on the CBS television show, "Touched By An Angel"
Wins three Juno Awards, for Ray Bonneville, Bruce Cockburn and Blackie & The Rodeo Kings, as well as the Maple Blues Award for Producer of the Year (shared with co-producers Morgan Davis and Alec Fraser). Produces and plays on tracks by Lucinda Williams and Bruce Cockburn for a Mississippi John Hurt tribute album. "raised by wolves" released in the United States on Compass Records. Plays at the Ryman Auditorium with others who worked on the "O Brother Where Art Thou" film. This concert is filmed by legendary director, D.A. Pennebaker. Plays several festival dates with Blackie & The Rodeo Kings, including the Edmonton Folk Festival. At this festival, Colin plays with Wilson Pickett, Eric Bibb and Linda Tillery & the Cultural Heritage Choir. Their performance is recorded and is subsequently released on both Linda's and Eric's albums. Writes with Nashville singer/songwriter Kevin Gordon, and four of their co-writes land on Kevin's album, "Down To The Well". Produces and records albums for Stephen Fearing (So Many Miles-live), Paul Reddick and the Sidemen (Rattlebag), longitm friend and inspiration J. Thibodeau (Everyday Shoes) and Andy Scheinman (The Original). A 25-year retrospective of Colin's work, "Sad & Beautiful World" is released by Sony Music Canada, featuring recording of Colin dating back to age 15. 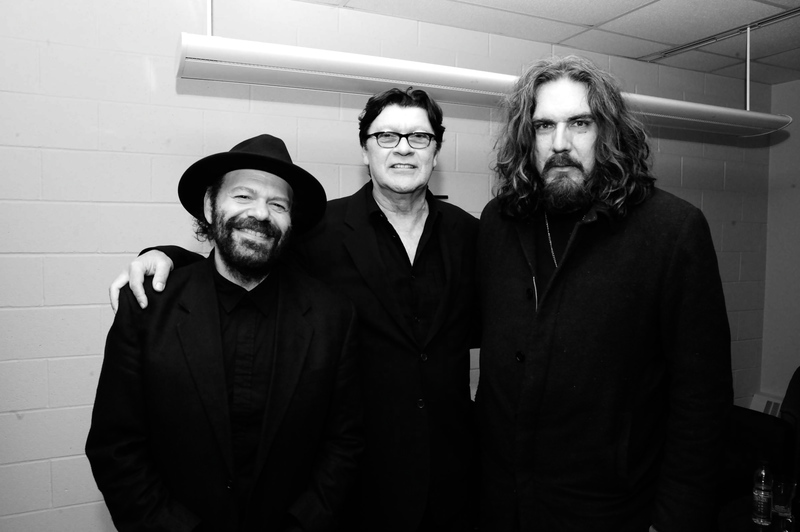 The year starts with Colin, Stephen Fearing and Tom Wilson recording their second album as Blackie & The Rodeo Kings, the double CD set, "Kings Of Love". While in the studio, Colin learns that he has been nominated for a Grammy Award for the Howlin' Wolf tribute album. Wins Producer of the Year and Songwriter of the Year at the Maple Blues Awards. Produces new album, "Breakfast in New Orleans, Dinner in Timbuktu" with/for Bruce Cockburn. Tours with Blackie & The Rodeo Kings, while their single, "Lean On Your Peers" becomes a Top Twenty Rock Radio and video hit. Begins work on a new album for blues guitarist, Sue Foley. Wins "Gabriel Award" in Britain for his work writing, producing and playing on the CBC/BBC co-production of the radio drama, "The Trojan Women". Wins the prestigious Toronto Arts Award for music. Produces "Rhythm of Love"- a new album for Colin"s long-time friend and mentor, David Karl Wilcox. Works on a new film project with producer T-Bone Burnett and the Coen Brothers, to be called "O Brother Where Art Thou". Colin spends several months in Nashville, Tennessee, writing and playing with some of Nashville's finest artists. Colin records and plays with Lucinda Williams for the final cut on the Howlin' Wolf project. In February, Colin wins "Producer of the Year" at the first "Maple Blues Awards" and Colin James and "National Steel" win a further five awards. 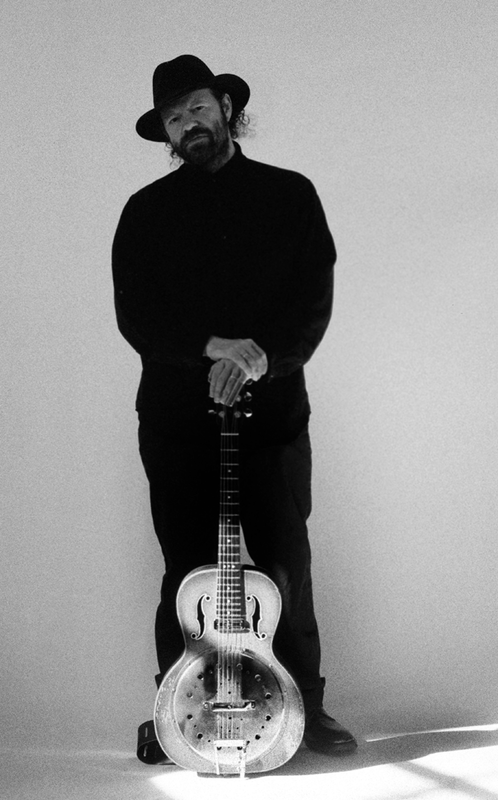 In addition, both "National Steel" and Stephen Fearing's "Industrial Lullaby" are nominated for Juno Awards. Colin's new album, "Raised By Wolves," is scheduled for a spring release. Writes and records with Keb' Mo' for Keb's "Slow Down" album. "raised by wolves" is released and the single "Love Everyone" garners significant video and radio play. Produces album for Montreal's Ray Bonneville entitled "Gust of Wind"
Colin starts the year by producing "Flying Jenny," the debut album for Spirit of The West bassist/accordionist, Linda McRae (Stony Plain/Warner). "Through The Storm Through The Night" is finally released in the U.S. on Compass Records/DNA, in France on Skyranch/Virgin Records, and on Demon Records in the UK and the rest of Europe. Colin's song "Love's Like Rain" (co-written with Jim Weider of The Band) is recorded by Kim Wilson (Fabulous Thunderbirds) and Mavis Staples with rockabilly guitar legend Paul Burlison for Burlison's "comeback" album. Colin produces (with the artist) and plays on an acoustic blues album for Colin James, titled "National Steel" (Warner Music). This album features one Linden original, "Before The Dawn." Blackie and The Rodeo Kings are nominated for a Juno Award for Best Roots and Traditional Album (Group). 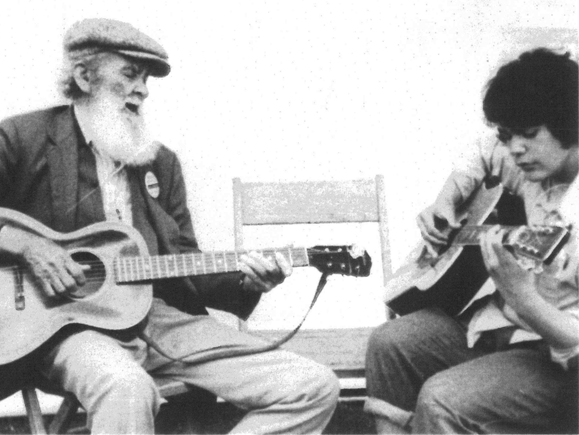 In April, Colin begins production on a new album for his "Blackie" cohort, Stephen Fearing. The resulting album, "Industrial Lullaby" is released on True North/Universal to excellent reviews, substantial airplay, and strong sales. Columbia Records/Sony Music Canada reissues Colin's 1988 album, "When the Spirit Comes," remastered, with new liner notes, and featuring two previously unreleased tracks. In June, "Colin James with Colin Linden" take to the road and tour virtually every major market in Canada. 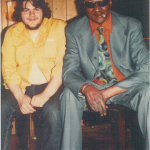 In July, Colin participates as associate producer and featured player on a tribute album for his hero, Howlin' Wolf. The band on this recording is Colin and four members of Wolf's bands—Sam Lay, Hubert Sumlin, Henry Gray and Calvin Jones. As the summer winds down, Colin starts work on his new album, recording in Toronto and New Orleans, and utilizing his band and a crack New Orleans horn section. Late in the year, Colin produces the third album for New England-based acoustic band, Salamander Crossing. Colin enlists Junkhouse leader Tom Wilson and noted artist Stephen Fearing and forms Blackie & The Rodeo Kings. Under Colin's production, they record "High Or Hurtin'" for True North (MCA), an album consisting entirely of the songwriting of Willie P. Bennett. Colin's guitar playing also surfaces on new releases by Dwayne Steele (Mercury/Polydor), The Band (EMI), Amy Sky (Iron/BMG) and Lawnie Wallace (MCA). Colin produces and plays on the solo debut for Jackson Delta guitarist and singer, Rick Fines. Blackie & The Rodeo Kings' album is released to rave reviews and strong commercial response, inspiring Colin, Stephen and Tom to actually become a live band and tour major festivals across Canada. Colin produces (with the artist) Bruce Cockburn's 23rd album, The Charity of Night (True North/MCA Canada/Rykodisc International). Late in the summer, Colin plays major showcases backing up Grammy award-winning blues artist, Keb' Mo'. BRAVO-TV features a 30-minute profile of Colin for their "Bluesman" series. Blackie continues to tour through the fall and winter, ending 1996 with a New Year's Eve show at Toronto's Nathan Phillips Square by City Hall. The show is broadcast live on CITY-TV. Completion of Colin's new Sony album "Through The Storm Through The Night," released July 11. Colin performs for the second year in a row on the Juno show, this time playing with country male vocalist winner Charlie Major. Colin receives a gold album for his signature slide guitar on Larry Gowan's song "Time For Love." With the John Bottomley album "Blackberry" attaining rave reviews and top ten airplay, Colin makes a few live appearances performing with John including Much Music. Colin teams up with Colin James on tour throughout Ontario and Quebec. James' new album "Bad Habits" contains Linden cowrite on the song "Real Stuff." Colin performs with Blue Rodeo on their annual year-end show in Toronto. Colin receives his first Juno nomination and "South At Eight North At Nine" wins a Juno Award, (Canada's major music awards) as Blues/Gospel album of the year. Topping that off was a live performance on the Juno show itself. He also gets back into the producer's chair to work with east coast singer/songwriter Lennie Gallant (Sony Music) for the album "The Open Window," winner of 4 ECMA awards (East Coast Music Awards – Canada) including album and single of the year). And starting in the spring, Colin hits the road in Bruce Cockburn's touring band playing throughout North America as well as England and Europe. BMG Music requests Colin to produce the John Bottomley album em>"Blackberry." Recordings take place in Vancouver in between legs of the Cockburn tour. Colin also produces another Lori Yates track and one of himself for the Neil Young tribute album issued on Sony in late summer. The fall sees Colin back in the studio for his own next album. As well Colin produces American artist Brookes Williams for an album due in August 1995 on Green Linnet. Colin tours Canada and U.S. east coast in support of "South At Eight North At Nine," including numerous festival performances throughout the summer. Produces Lori Yates's album for Virgin Music which features several Linden cowrites. Completes recording with Bruce Cockburn on two new albums, "Christmas" and "Dart To The Heart." Songs that Colin Linden has cowritten hit the charts with The Band song "Remedy" going top 5, and the Michelle Wright recording of "Guitar Talk" going to #1 on the country chart. For that accomplishment, Colin became the first recipient of a new SOCAN award given to Canadian writers whose songs have attained #1 stature. Linden continues touring with Cockburn, including six countries in Europe. Plays on the new "Frozen Ghost" album. Contributes a song to a European slide guitar compilation album. Writes with Vancouver recording artist Colin James for his album due in '95. Participates on guitar and vocals on the recordings for The Band's album "Jericho" which includes Linden's cowrite on their song "Remedy." And (last but not least) records "South At Eight North At Nine," his fourth album and first for Sony Music Canada and his first U.S. release via Deluge Records. 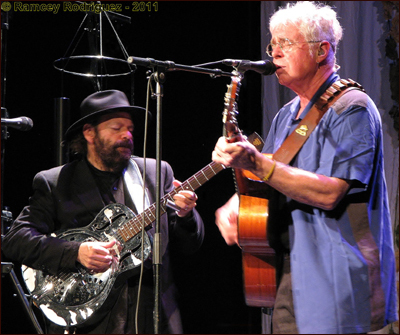 The critically acclaimed album features guest appearances by Bruce Cockburn as well as Danko, Helm and Hudson from The Band. Linden band tours American east coast and takes a side trip to Switzerland for a festival performance. Colin produces album for emerging young blues group Jackson Delta as well as tracks for singer/songwriter Lori Yates. Co-writes with Scott Dibble for the upcoming Watertown album as well as assembling the players and performing on that album. Colin also produces an album for Euro bluesman Hans Theessink which takes him to Texas, Austria, Germany, California and New York! Returning to Canada, Linden, along with members of his band, join Bruce Cockburn's new touring band. He accompanies Cockburn for a taping of "Austin City Limits." Continues with live and studio work including guitar on Rita Coolidge album produced by Eddie Schwartz. Cowrites with The Band and Canadian country star George Fox. Records and collaborates with producer/writer/musician Ben Mink (K.D. Lang's musical partner). Linden produces albums for Canadian blues hero Morgan Davis (Stony Plain/WEA) and artist Mendelson Joe (Anthem/Sony). 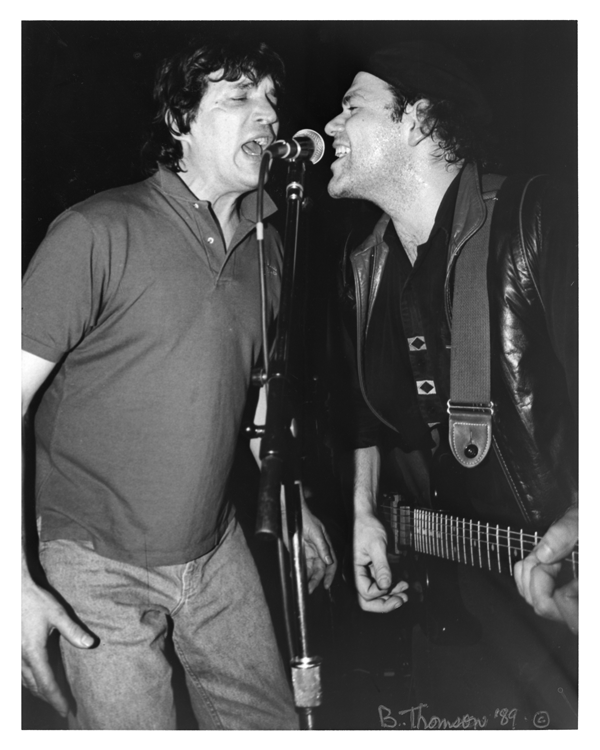 Plays with Rick Danko and Garth Hudson for a wild weekend gig at Toronto's Horseshoe Tavern. Robbie Robertson joins in for Saturday night's encores. A&M releases "When The Sprit Comes" to critical acclaim. The single "Miles Away From You" reaches top 20 on CAR charts. Linden and band are out on the road in support of album number three. Signs with A&M Records Canada and records "When The Spirit Comes" album. Colin is assisted by Rick Danko and Garth Hudson of The Band on vocals and keyboards respectively. Colin signs a publishing deal with Warner/Chappell. Releases "The Immortals" (Stony Plain/WEA) and supports the album with extensive touring and three videos. Records his second album, "The Immortals." Linden alternates between band leader and sideman playing with, among others, Amos Garrett, Willie P. Bennett, Gwen Swick, Mendelson Joe, Morgan Davis and African singer Tony Bird. Records with 80 year old Mississippi bluesman Sam Chatmon. 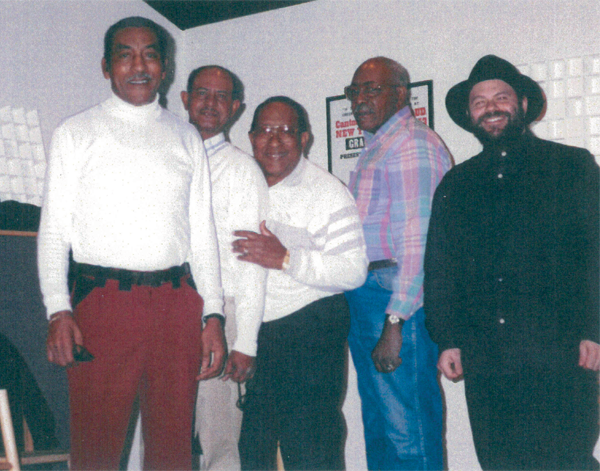 The resulting album "Sam Chatmon & His BBQ Boys" (Flying Fish Records} is Chatmon's last and Linden's first. Travels throughout U.S.A. playing guitar with Leon Redbone. Linden does first solo tour of coffeehouses and colleges; later in the year he starts his own band. Linden travels through the southern states meeting and playing with many of the surviving blues musicians of the 20's and 30's. Leaves school and joins David Wilcox & The Teddy Bears. Colin becomes one of the youngest musicians to receive national exposure on television and radio in his performances on CBC's "90 Minutes Live" and "Touch The Earth."